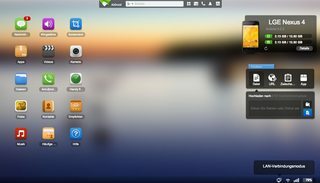 Background: I'm looking for an app that lets me control my Android device from my computer. Sadly, any attempt at Googling this, only yields results for using the Android device as a remote control. I've been using Pushbullet for some time, which lets me see Android notifications as popups on my computer. It also lets me do some basic stuff like reply to text messages when they pop up, but this is very limited. I'm perfectly OK with using a web interface to access the phone. I'm also familiar with VNC if that's an option. Huge bonus for any app that lets me control the device using the computer's mouse to simulate taps and swipes. Security: Any commonly accepted encryption. For VNC alternatives, this is probably a non-issue. EDIT: What I'm looking for is full remote access. That is, seeing the full screen of my phone, with mouse simulating touch. Teamviewer also features remote control of your phone. 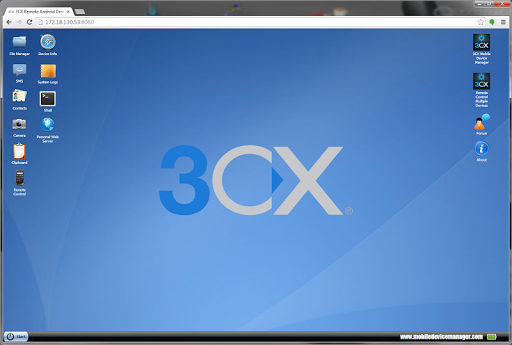 You'll need Teamviewer Quicksupport on your phone and the ordinary Teamviewer application on your computer. It allows full control as well as direct access to various settings like WLan profile, app-manager, file exchange and more. 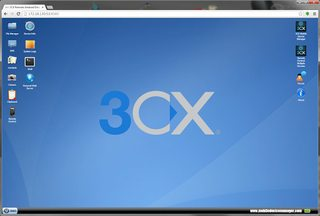 Some won't like that it needs to contact a server hosted and owned by the company behind Teamviewer negotiating the connection. Once the connection is established data is only exchanged between your computer and your phone. Of course it also offers the other way round (control computer with phone). Edit: I've just noticed that it is necessary for some of the other solutions to have your device at hand to get the connection details. 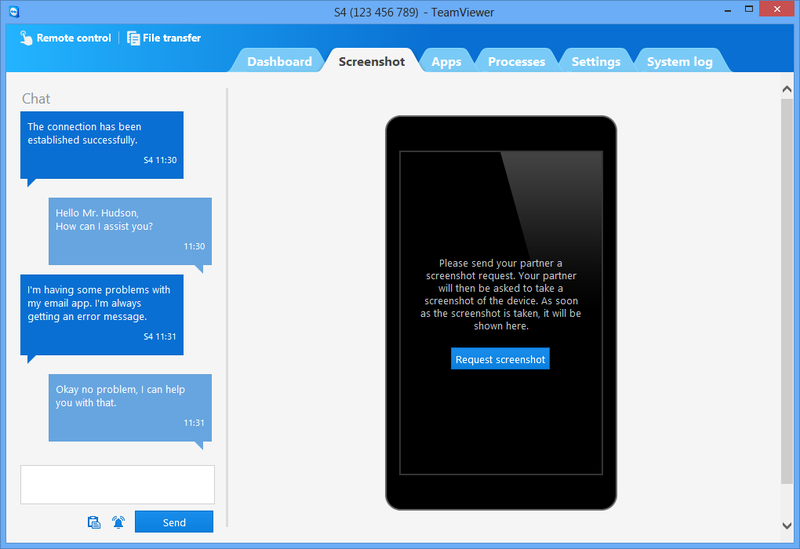 The partnerlist of Teamviewer also works for Quickconnect devices. If your mobile is listed on the partnerlist and runs the Quickconnect app you can connect via doubleclick without having to know the devices ID or some URL etc. As the screenshots show, you'll get real desktop feeling – and access to many details including call logs, files, create screenshots, see device stats, and have a shared clipboard. For more details, please refer to the linked articles (and the app's page on Play, of course). Moreover, the first mentioned page (on my site) links to additional material. Features are, as indicated, pretty much comparable – so it's mainly a question of preference which of the two to chose; provided of course that's matching your wishes. Again, for alternative candidates, let me refer you to my site – where you hopefully also find matching candidates for your other needs. Other than most market sites, this uses "real life categories", and links additional information to each app whenever possible. Completely mirror your Android to computer screen to PC or Mac over Mobile Data, WiFi or USB! Completely control every aspect of your phone or tablet remotely! 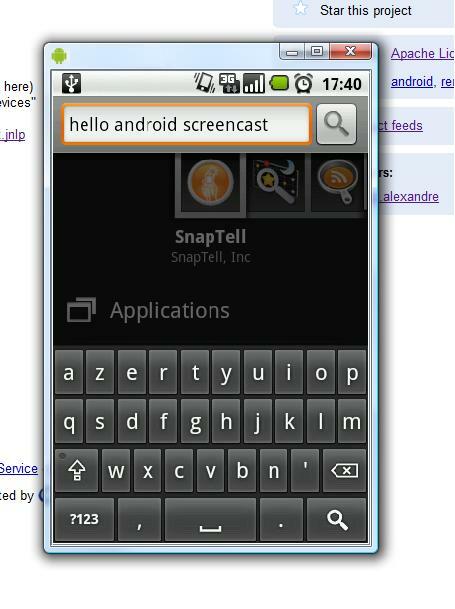 Androidscreencast allows you to see, and to a certain level control, your Android device. It can be installed on any Java-capable platform (Windows, Mac, Linux, etc). You will need ADB for this to work. Help on that on our sister site for Android Enthusiasts: Is there a minimal installation of ADB? I have three android TV PCs at home. I use them as thin clients against a windows server machine, and they work excellent! But, how do I remote into the android devices to keep them updated and backed up? I spent a lot of time finding a good solution for this. I also remote into my galaxy Note 3 sometimes. 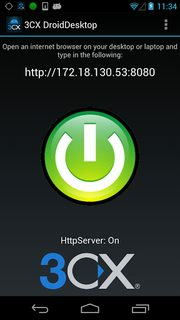 What I use on each android device is vnc_server https://play.google.com/store/apps/details?id=com.schumi.vncs . It has some issues, but for the most part works very well. I give each android device a static IP address either through wifi or ethernet. There are others similar. Each seems to be made from the same code base that was made public a few years back. Install this, work through the issues, and it will do what you want. On the PC side to get into the android devices I use UltraVNC http://www.uvnc.com/downloads/ultravnc.html . I had to do trial and error to get everything right, but it does do what I want. I tried several VNC software packages until I settled on this one. Another piece of software I put on the android devices is Webkey https://play.google.com/store/apps/details?id=com.webkey . This gives me an alternate means of control should vnc_server get hammed up. It has good functionality and is very reliable. The android device is accessed via web browser. Depending on what you want to do, Webkey itself may be enough. The way the menu overlays the display is a little cheesy, but other than it's good. I tried Airdroid but ultimately could not find much use for it and was disappointed. I paid for it, too! I love TeamViewer. There's a TeamViewer client for android I use to see my work machine, and it's like I'm sitting right there! Excellent piece of software. For thin client in my house I use Microsoft Remote Desktop Beta. But there is no TeamViewer compliment allowing you to get into the android device. I had TeamViewer Quicksupport on the android devices, but uninstalled it. This is very true and was extremely frustrating. But I did finally get what I want. Check out Bomgar. It supports remote viewing and file for most Android and iOS devices, and it has remote control for Samsung, HTC, and Dell hardware. The appliance can be hosted on premise so it's great from a security / compliance perspective. Not cheap, but it's a critical component of our support infrastructure. Not the answer you're looking for? Browse other questions tagged android remote-access or ask your own question.